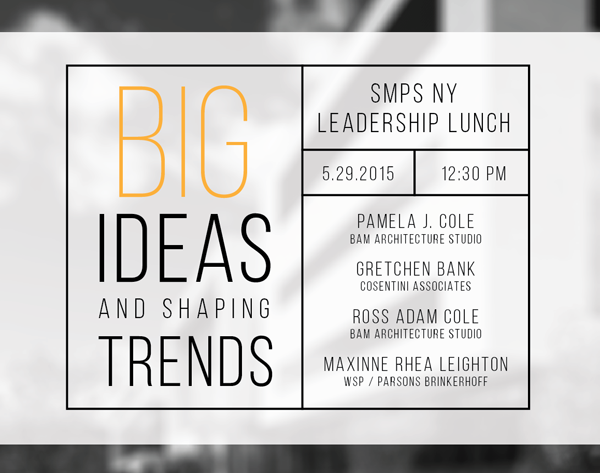 Join BAM and SMPS at the next Leadership Lunch on May 29th as the panel of industry strategic thinkers discuss key learning experiences on their journey to becoming creative leaders. Learn the forces at play which are changing the services offered by the A/E/C community and how we provide them. Visit the SMPS website to find out more. Visit the SMPS Spotlight Blog for a recap of the event.